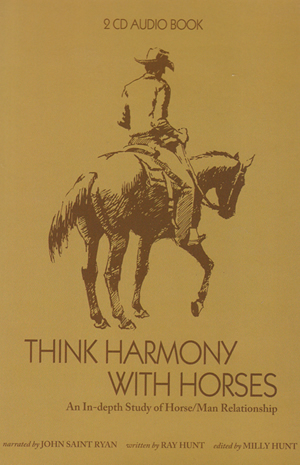 Think Harmony with Horses by Ray Hunt was published in book form in the fall of 1978. The book material was gathered during the many hours of listening as Ray shared his feelings and ideas about horses with many eager students. 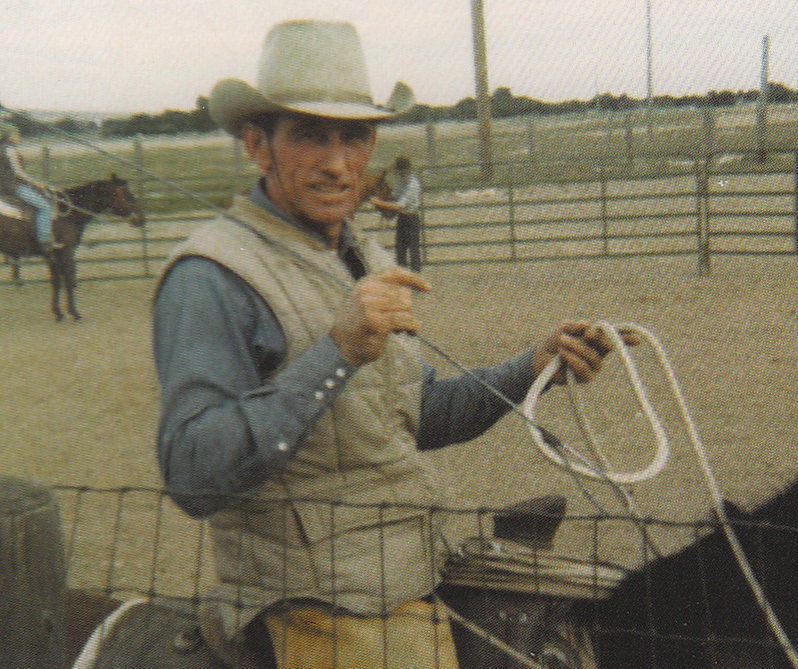 Ray had been on a quest to share his feelings about horses since he had been influenced by “the horse’s lawyer,” Tom Dorrance, a decade before. In the early years, especially between 1971 and 1978, facilities were whatever would work for a group; from empty spud cellars and summer ice arenas to Jordan Valley Rodeo arena during a pouring down rain (well, most everyone had a slicker), this photo was taken at such a gathering. This 2 CD Audio book is narrated by John Saint Ryan. Written by Ray Hunt and Edited by Milly Hunt Porter.